A comparison between the cultures of India and the Linear West through their Train Journeys. A train journey is much like the journey of life and the cultures of a nation are often reflected in these long journeys. There is much difference between the Linear, sequential and result oriented culture of the West and the cyclical, lateral, non time bound and ‘Karmic’ (Destiny) culture of India. Many facets of these different cultures are reflected in the train journeys of these nations. 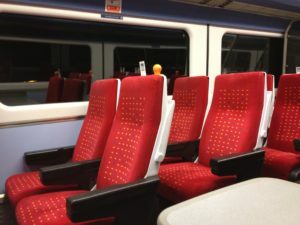 The West: You will find that there are almost always, individual bucket seats in trains which are numbered. The seats are structured in a way that only one individual – adult or child can occupy one seat at a time. This reflects the individualism, need for privacy and personal space requirements of these societies. India: Seats are rarely structured for individuals and are usually bench-like. Seats are numbered of course but when there is a rush, people can shift to accommodate a few more. This reflects what is known in India as ‘Adjustment’. ‘Adjustment’ is a word commonly used in India and in this context, it means ‘To be more accommodating and flexible’. In other words, make space for others if you reasonably can. You can often hear a request in India which can go ‘Please adjust’ or ‘Kindly adjust’. This is why you can see multiple pillion riders on bikes and people hanging out of buses and trains. The object of this section is not to discuss safety but to highlight the reason as to why this happens. Indians are helpful and will not hesitate to accommodate as many as humanly possible. Especially if you are a foreigner, the Indian ethos of ‘Guest is God’ combined with Xenophilia and respect for achievement will earn you much hospitality. The West: Stations can indicate where specific carriages stop. It is also possible to board a train anywhere and locate your carriage from within. The process ensures minimum human interaction requirements. 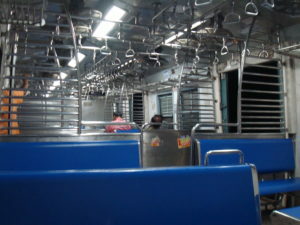 India: The trains can be almost a mile long and there is no indication of where the carriages stop. It is fine when you are boarding at the point of origin of the journey, but when you are on an intermediate stop and the train stops for just a few minutes, it does not help that there are no indications as to where the carriages halt and you could well miss the train. You cannot board in the class that you have not booked for since the trains are not necessarily through and through. So what is the way out? – Humans! You ask the station master or any ticket collector you find. But the best people to ask are the red shirted Porters or in several shops/food outlets that you could find in the station. Then you station yourself in the spot they have indicated and board with ease. Human interaction is key in India and you can’t rely always on process or information. Instinctively, collectivist Indians embrace human interaction. Indians are not process oriented or empirical by nature. They are human oriented. The West: Trains are fitted with internal announcement systems and intercoms and information is provided regularly through these and or/LCD panels. This is in line with the Linear thought process which needs to be provided information and status updates as much as reasonably possible. Linear, sequential, binary logic minds need high extent of information to enable decision making and it is reassuring to them. India: Trains have no internal announcement systems or intercoms. The ‘Karmic’ (Destiny) mentality comes into play here. As with the journey of life, you cannot really plan absolutely and you go along with it. You board a train and go with it. Talk to your fellow passengers and/or train staff to get information and maybe make friends along the way. If your are to arrive at your destination at say 3 a.m. then better have your alarm set. Do not expect to be woken. Your train may halt for hours on end for some reason which may be an accident or a signalling issue. You will not be informed since there is no information system available. What do you do? Wait patiently until the train moves. A Linear person here would lose his/her mind. Not the ‘Karmic’ Indian who will accept life as it comes. Some enterprising Indians could hop off the train and try to find staff to find out what is wrong and then relay the information by word of mouth to other passengers. This is normal in India again since human interaction is instinctively preserved. cannot be stopped until due process is followed and protocols are met. Centralised control is the key and this is typical of Linear cultures which, while freely accord ‘individualism’ and ‘freedom’, rarely give up control of processes for purposes of management. Values are aligned with institutions. 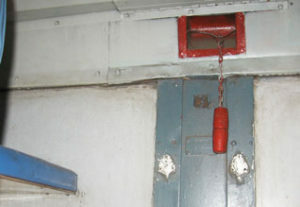 India: Every train compartment has an ‘emergency’ brake which can be pulled by anyone to stop the train for a ‘valid’ reason. If the train is halted for a reason which is not valid, of course there are severe penalties in place. But the passengers have the option of halting the train. While India is collectivist, there is also a huge degree of individualism. It is very different from other collectivist cultures. While conformity to the group is considered good, every individual has his or her own freedom to choose. The roots of this behaviour are in Hinduism where one’s belief are one’s own and everyone respects the other’s beliefs. While there is behavioural collectivism in India for convenience, there is no ‘Belief’ collectivism. 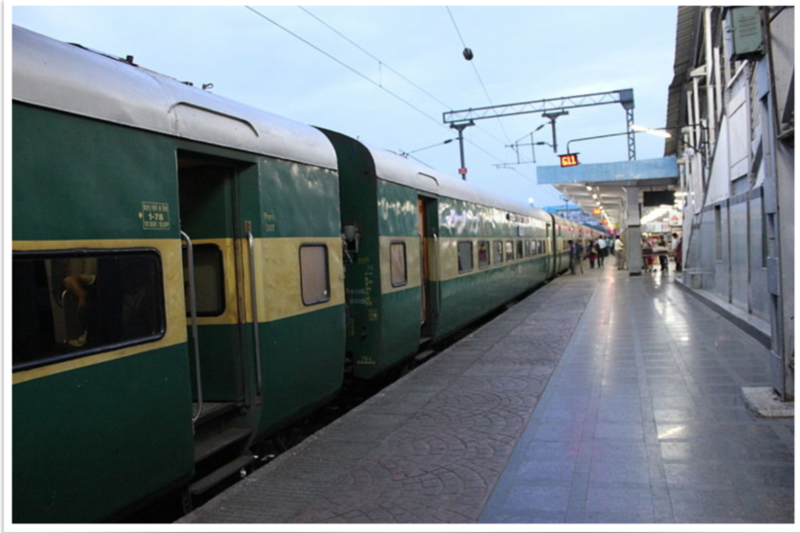 There has been a recent decision by the Indian Railways to do away with emergency brakes. India has a tendency of rather blindly following whatever the West does and believes that since the West has achieved so much, they must be right about everything. Non empirical Indians rarely study impacts on their own systems. The West: By Indian standards, the food served in trains in the West is minimal and usually cold. India: Gordon Ramsey upon returning from a 3 month trip to India said that every Indian however poor, eats like a king. What he said about the food served on a train from London to Birmingham is better left unsaid. Most Indian trains have pantries and kitchens where food is freshly cooked and served. Indians are probably the fussiest people on earth when it comes to food because the expectation is of warm, freshly cooked food wherever you go. Food is a great unifier in India and like most things is considered to be God’s gift and is celebrated as such. 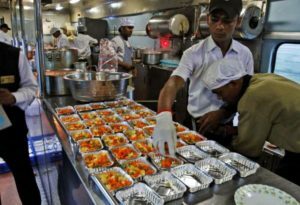 It is central to Indian culture and a way to bring people – families, neighbours, friends, strangers and even enemies together, hence the great variety and freshness of food on Indian trains is no surprise. Several trains sectors are, in typical Indian West emulating fashion, stopping train kitchens much to the disappointment of passengers. The West: Linear time bound cultures plan sequentially, and generally there is a ‘One Life’ belief which makes time important. A lot must be achieved in the one life one has and hence sequential planning is required down to the smallest detail to ensure success and results. Punctuality hence is important and trains are scheduled down to the minute often in odd numbers and are expected to meet schedules. India: Indian cultural behaviour finds its roots in Hinduism and behaviours stem from millennia of Hindu and to an extent Jain and Buddhist beliefs. The original name of Hinduism is ‘Sanatana Dharma’ which means ‘The timeless path of right conduct’. The ‘timeless’ connotation is ‘That which has no beginning and no end’. India is called ‘Karma Bhumi’ or the land of ‘Karma’ so there is acceptance of ‘destined’ events with patience. To Indians, time is of no consequence. Right conduct, relationships and harmony are what matter. This makes Indians very tolerant and accepting of delays. This does not mean Indians are not practical. They understand that the Indian Railways is huge – It ferries around 23 million passengers every day; and India is not a country that has had the advantage of huge technological and process development like some others. And the monsoon and track incidents can cause delays. Hence an average delay of 30 minutes is very reasonable. Amazingly true, very well brought out. I was surprised at the depth of the thought process of the author. This is a gem of an article and puts cultural differences in a new perspective. I actually showed this to an American friend of mine who plans to visit India. He is well prepared now.